Aware his presence only puts Scully and William in jeopardy Mulder once again disappears, but at least this time it is his own choice. 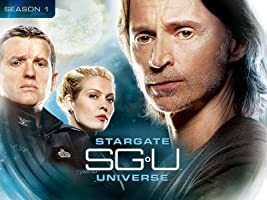 A frustrated Agent Doggett tries to find Mulder so he can proceed with his investigation against Deputy Director Kersh, but Scully and Skinner finally convince him to drop his case. 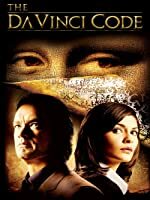 Doggett attempts to uncover the truth about a woman with superhuman abilities who is somehow connected to scientific experiments being conducted on a WWII-era ship. 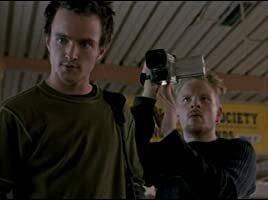 The agents attempt to find a link between a mental patient and several bizarre satanic murders. Reyes theorizes that a killer who critically wounded Doggett may have entered our world from a parallel dimension. The agents investigate the murder of a teenager who died after insects devoured his brain. 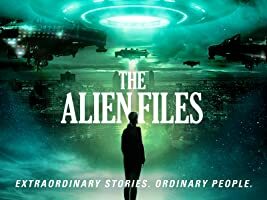 Scully befriends a couple who believe their infant possesses the same unworldly qualities as baby William, and a shadowy operative convinces Scully to contact Mulder and draw him out of seclusion. 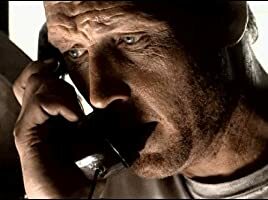 Agent Doggett awakens in a corrupt and violent Mexican town with no memory of his true identity. Reyes senses she somehow played a role in a series of grisly murders dating back more than a century; in which the victims were all skinned alive. 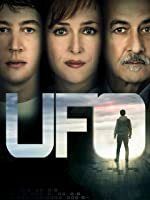 When a religious cult operating in Canada unearths a spacecraft similar to the one Scully discovered in Africa, a plot is set in motion to kill baby William. 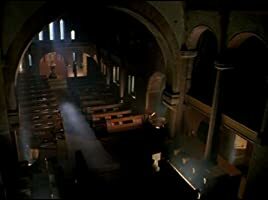 As Scully desperately searches for her son, religious cult members make preparations to access a spaceship that they believe houses a physical manifestation of God. When Agent Reyes is injured in a car accident, she finds herself trapped in a netherworld between life and death, and her only hope for survival lies with a hospital staffer who can bridge both worlds. 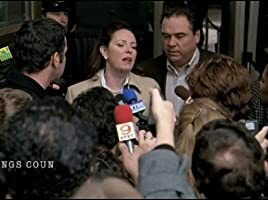 When DNA evidence exonerates a murderer whom Doggett helped incarcerate 13 years earlier, Doggett desperately tries to put the man back in jail before he strikes again. 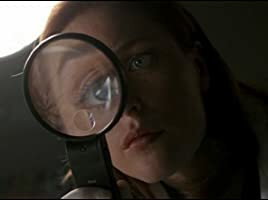 When Reyes uses numerology to connect the murders of several women, she and Scully become trapped with a mysterious checker-playing man who may be the killer. A little boy is at the center of a case involving strange creatures that seemingly take refuge inside the human body. 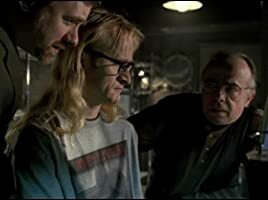 When the Lone Gunmen come to the aid of Reyes and Doggett on a case involving Morris Fletcher and a super soldier, they are led on a quest to find Yves Adele Harlow. 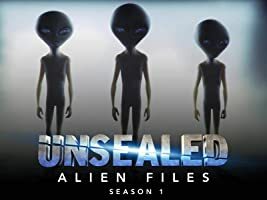 The agents detain a horrifically scarred man caught breaking into the X-Files office and attempt to determine his true identity...a man Doggett believes is Fox Mulder. A FBI cadet with an uncanny instinct for solving crimes sheds new light on the unsolved murder of Doggett's son. 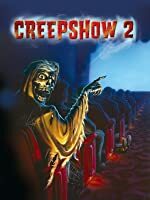 The agents attempt to "connect the dots" when a series of strange deaths are linked to a man who resides in a house that is an exact replica of the house from "The Brady Bunch" television series; complete with the Bradys themselves. 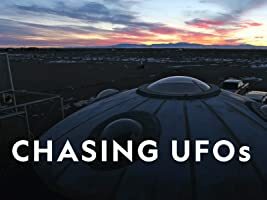 When Mulder is accused of murdering Knowle Rohrer, the U.S. military puts him on trial; and hears testimony from a group of defense witnesses who support Mulder's claim regarding a government conspiracy and the existence of extraterrestrial life. 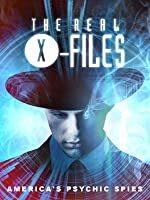 I know that the last couple seasons of X-Files didn't get the best reviews, but I disagree with them. 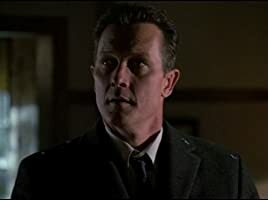 I loved Robert Patrick's addition to the series as John Doggett, who in season 8 was partnered with Dana Scully, due to Fox Mulder's "disappearance" for several months. In season 9, Dana Scully was no longer working the X-Files, and Doggett began working with longtime friend, Monica Reyes, who had helped find the killer of his son years before. Robert Patrick brought a fresh outlook and interesting character to the show. 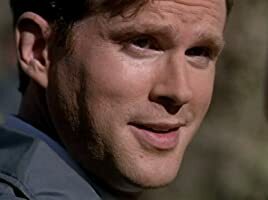 While having a somewhat abrasive personality (especially when it came to the paranormal), he was also a bit of a softie when it came to Dana Scully and other people he cared about. He was a breath of fresh air from David Duchovny's 7 1/2 years as dry humored Fox Mulder. 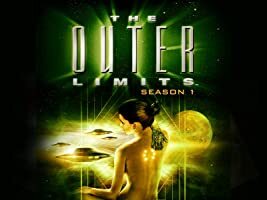 Don't get me wrong, I loved the character, but you almost feel the restlessness while watching the series, that David Duchovny felt after several years on the show. 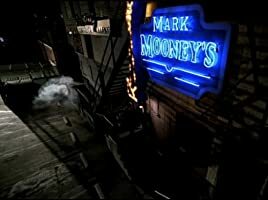 The scenes between the three, eventually four, main characters (Scully, Doggett, Reyes, Mulder) at the end of season 9 were pretty spectacular. Specifically, Gillian Anderson's performance as Dana Scully was excellent, oftentimes heartwrenching, at choices she had to made. 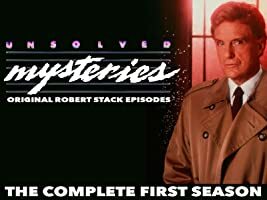 The acting aside, the writing of each episode in the last season was excellent and kept me up late at night because I couldn't turn off the show. Now....the only question is...what am I going to do with myself after a ten season/two movie X-Files marathon, other than get more sleep??! I always try to be op[en minded and most of the time disagree with negative reviews. Here i agree as well as disagree. It is not a contradiction, what i mean is i agree that it is unfortunately the weakest season i however disagree that it was a bad season. I enjoyed the Dogget and Annebeth Gish characters and thought Doggets performance was especially good in season 8 he tapered off during this season though not due to his acting,it was the writing. I was ready for them to become the main characters except there was one problem, tragedy. Each main cast member seems to be going through or had went through some sort of traumatic event with a family member to the extent of it becoming clique and strangely clique at that. The main problem as well as the greatest thing about seasons 7-9 and especially 9 is the writing. It is as if the writers as well as directors had mentally lost it and their psychosis was being channeled through the weekly episodes.. I am guilty to say it was fun watching them lose it. You have to give it to the cast for remaining totally serious when mentioning the Super Soldiers. I have no problem with the Super Soldiers i just think they could of chose another name. It makes it seem like a child's cartoon after school special.. The Super Soldiers part 3 starring etc.. I am not trying to roast the season i loved the episode 4d and the Scary Monsters episode. The satanic episodes were good. There was definitely too much material dedicated to babies. 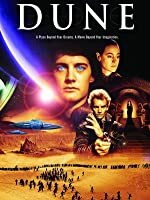 There were at least 6 good episodes which makes it worth the buy and the bad ones were good bad as in good for stoners or people who appreciate good failures like Dune or True Detective season 2. There is some great acting here from Anderson that goes in to the realm of absurd due to the reasoning behind her emotional moments. It is good to see Duchovney back in the mode for his dual episode. I do not think his performances in 7-8 were bad it just seemed like he started smoking a lot of hash and seemed super stoned and with 8 borderline mad/grumpy. Dogget's character became unintentionally funny with being over compassionate as if the writers (or Carter) was trying to overemphasize the character being totally the opposite of Moulder. This came across as funny as well as both Dogget and Reys being rendered comatose during different episodes only to be back in action the next week? I am not complaining here. The reason i still feel this season is classic is it is just so weird. This really started with season 7. The show just started to have an offbeat feel to it. It was not bad as i personally am always down for experimentation and that aspect of the show is what i love about it. I felt bringing up Doggets dead son over and over was so absurd. His brookly/canadian accent becomes laughable (in a good way)--that one episode where Reyas gets into some sort of mutiverse portal (good episode its called 4d)-Dogget says hotdogs and its hilarious-unintentionally. I am sad to say that for the first time there were times where i felt the show was catering to a younger audience nut absurdly again just for a few episodes. It also dives into deep serious territory about trying to break out of a coma etc. The last double movie like episodes with Moulder were very good and again strange. Right when that episode started it was like the whole cast and crew jumped back into it. 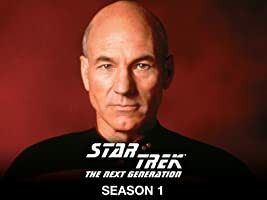 With the last few seasons 7-9 i feel 8 was the strongest--it felt like a legit drama again -minus the Moulder coming back fro the dead part --i still don't get that. The funniest thing about the season 8-9 is there is so much drama and anticipation each time Mulder disappears only to have him return seemingly ungrateful and grumpy leading to more unintentional hilarity. I enjoy the last few seasons for what they were and have nothing bad to say. I love seasons 2 and 3 and feel they stood alone. They were so good i could care less how they experimented in the later years. There are a lot of unexpected gems in season 6 even classics like Field Trip. I recommend adding this season to the collection. All the seasons are entertaining it;a just 6-9 and more specifically 7-9 are entertaining in another way. 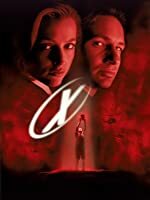 Okay, Fox has managed to make me give five stars to the only season of The X-Files that I was ready to qualify under five stars (I was going to give it four stars). Mulder has left the series after the two parter finale of the eighth season, and we don't quite understand why. 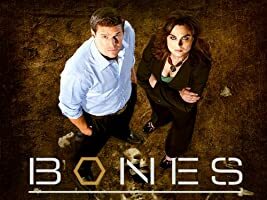 The season begins with "Nothing Important happened today" I and II, where we see Doggett trying to pursue his investigation on the odd events that unfolded in Existence: the meeting implicating Kersh with the human replacement/super soldier Knowle Rohrer and agent Crane. But he finds out that he's been left alone by his former partner (agent Scully, now on full mommy duty) and Skinner. Monica Reyes is his only help... and then there is Lucy Lawless, whose agenda is hard to understand. If things didn't look so troubling for poor Doggett, he has to face a new enemy: A.D. Brad Follmer, whose past relationship with Reyes makes him jealous of Doggett. And if you thought Scully's baby was normal and the aliens just found out that they had made a mistake (in Existence) and retrieve from him... well, the baby begins to move his circular moving toy with his thought. That's why Scully decides to help Doggett in the end. 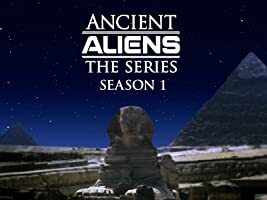 But, as usual for the series, by the end of the second episode, they don't really know much more that they knew before (which is a hell of an acomplish for a series after nine years). 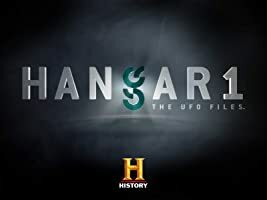 After these two episodes come two of the most interesting stand alones of the series: Daemonicus and 4-D. Scully is shown now giving class in Quantico. 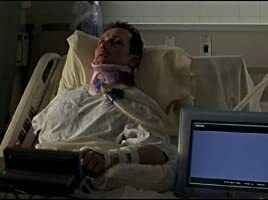 These two episodes set straight the emotional entanglements between the three main characters (how Doggett cares for Reyes and Scully, and how they perceive him). After that, the season loses the great pace with which it begins. "Lord of the flies" is an unsuccessfull effort to make one of those classic funny or humorous episodes of previous seasons (such as those from seasons 3,4 and 5). In "Trust no1" we find a Scully desperate to make contact with Mulder, but at the risk of being manipulated by those trying to find him. By this episode we discover that the human replacement are, after all, vulnerable to one thing. 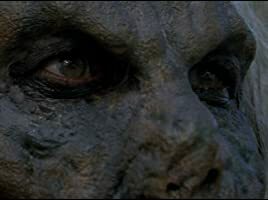 "John Doe" and "Hellbound" are two very normal and typical X-Files episodes. The real treat comes in the following disc, where a great two parte finds place: Provenance and Providence have to do with Scully's baby. A group of UFO cultists are after the little boy... and they get him. Oh! And after nine seasons, Mrs. Scully finds out in her own flesh how hard is her sister's job (only for a second, but it is interesting). "Audrey Pauley" is a bit too weird for and X-Files (if such a thing is even posible). Underneath is pretty much an average episode. Then comes "Improbable"... okay this one is even weirder than Audrey Pauley! But it is well done... To this day I don't know quite well what to do with this episode... and it is a reason to treasure it. "Scary Monsters" is another normal episode about a boy whose claims of seeing monsters in his closet turn out to be true. 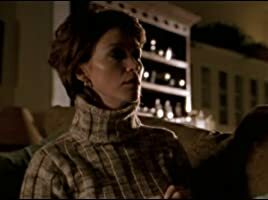 We see Leila Harrison in this episode again, which is a nice (this time she has a boyfriend bringing dead things to Scully's kitchen table, where she makes little William's food!). The two extremes of the season follow: "Jump the shark" was the most disappointing episode of the season for me... I just felt like that was not a proper farewell to the Lone Gunmen. And "William" is a wonderfully achieved episode directed by David Duchovny! 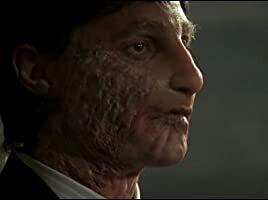 A man whose face has been terribly destroyed claims to be Mulder... but he could be someone else trying to approach baby William. 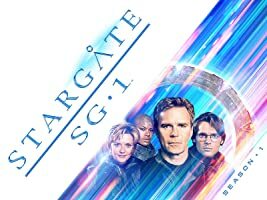 "Release" is the closure to Doggett's arc: he discovers what happened to his son... I always thought that they should have left his story open; it seemed somewhat rushed and all over the place. "Sunshine days" is another not so great comedic episode. And finally: The Truth: the two hour series finale. Mulder has been imprisoned and is being accused of murdering Knowle Rohrer. Scully, Doggett, Reyes and Skinner come to his aid, as the military plan to judge him. We see Krycek, X, Marita, Gibson, the lone gunmen, and Spender again. But his is a trial meant to be lost. It is most remarkable the definitive demise of the Cigarrette Smoking man: I find it to be the image of the decade in T.V. My top 10 for the season are: 10.Hellbound 9.Nothing important happened today I 8.Underneath 7.Scary Monsters 6.Trust no1 5.Providence 4.Provenance 3.4-D 2.Daemonicus 1. The Truth. It is remarkable how many extras FOX is planning to release with this package. 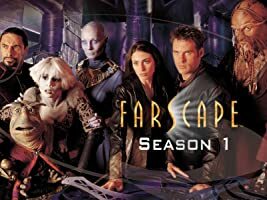 It deserves it, after all, this was the series that got the whole tv to DVD to the success it has today as a trend. The image of the box looks wonderfull (I've seen it outside amazon's page) and the news about the extras concur with the number of discs of the package: seven! It includes the very well known 30 minute documentary about the overall season. 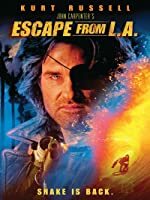 But it has a 90 minute long making of The Truth, the DVDROM game "The Truth", deleted scenes, audio commentaries on The Truth, Improbable and Jump the shark, three more featurettes (okay featurette does not justice to these extras) of 45 and 20 minutes, two profiles (on Reyes and Follmer), footage of the celebration of the 200th episode and an on-location featurette of 15 minutes (the extras are detailed in a very well known page devote to tv shows to dvd). And it is cheaper than the previous seasons!!! This is really the way to go, FOX. Now, there is only one thing that could make me happier: the announcement of the second movie... but if the legacy of the series finishes here, I am truely pleased with the way it is sent to the future of uncountable repetitions.